A conference sponsored by two pontifical academies embraced a kind of environmental determinism that looks at human reproduction as a mere bio-technical issue. A papal commission is reviewing Humanae Vitae ahead of its 50th anniversary in 2018. Some worry the commission is part of a conspiracy to change the teaching of the Church on spousal love and procreation. It’s hard to say. On the positive side, a review of Blessed Paul VI’s final encyclical could clear away many misconceptions about the magisterial teaching on the transmission of life, chief among them the notion that the Church should sanction population control to stop climate change and achieve sustainable development. A clarification on this subject is urgent because of the rapid resurgence of aggressive population control policies in Asia and Africa. The Church has always emphasized the autonomy of spouses in all matters pertaining to procreation vis-a-vis the state. The magisterium has never sanctioned governments orienting or directing procreative decisions that are exclusively reserved to spouses. Concern over the direction of the Magisterium in this area cannot be ruled out as speculative. Recent events at the Pontifical Academies for Science (PAS) and the Social Sciences (PASS) have created ambiguity in this area, and Archbishop Marcelo Sanchez Sorondo, chancellor of the academies, voiced these very views in a letter published by First Things. “You will be aware that there are methods of regulating births and of population control that are approved by the Church,” Archbishop Sanchez Sorondo wrote in reply to my criticism when Jeffrey Sachs was honored by the Vatican academies two years ago. Sachs is a Columbia University economist who has spearheaded a neo-Malthusian revival in academia and at the United Nations, warning of humanity “trespassing planetary boundaries,” and writing that abortion is a low-cost solution to the problem of unwanted children. More recently, in February the academies welcomed Paul Ehrlich alongside other renowned population control theorists for a conference on biological extinction. Ehrlich predicted the starvation of millions people because of over-population and resource scarcity in his famous 1969 book The Population Bomb. Though his predictions were wrong, he became a celebrity and helped trigger a wave of population control policies around the world, including forced abortion, forced sterilization, and coercive family planning. The scandal of a pontifical body giving a moral imprimatur of sorts to Ehrlich has been addressed amply. The quality of the science on which the Vatican academies are relying has also been questioned. Very little has been said about the views on the Church’s teaching on the transmission of life that surfaced from the conference. To be clear, no one at the event said forcible population control is ever justified. Nevertheless, participants challenged Church teaching about contraception and supported the idea of population control, at least by means of state propaganda encouraging spouses to have fewer children. Alongside the entirely laudable goal of promoting awareness of the threat of bio-extinction from a range of scientific perspectives, the academies embraced a kind of environmental determinism that looks at human reproduction as a mere bio-technical issue. A conference concept note cited the “carbon tax” and the “social rate of discount” as models of the kind of utilitarian calculus that it was hoped the conference would stimulate with regards to bio-diversity. Ehrlich is known for wanting to tax large families in this respect. In a recent New York Times interview he said letting women have many children is like allowing them to dump “garbage” in their neighbor’s yard. A leaked draft of his paper for the Vatican conference on environmental websites, co-authored with Vatican academy member Partha Dasgupta, calls for environmental taxes and regulation to change not just behavior but social norms, because “responsible parenthood and consumption decisions at the individual level” result in a “collective failure” to protect the environment. Conference organizers and participants were similarly coy in deflecting attention from population control. They stressed economic inequality, blamed wealthy nations for overconsumption, and called for a redistribution of wealth. But they could not escape Ehrlich’s same conclusion. After the event Peter Raven, a member of the pontifical academies chosen as spokesperson, claimed papal support for population control during a press conference. “We need at some point to have a limited number of people, which is why Pope Francis and his three most recent predecessors have always argued that you should not have more children than you can bring up properly,” he said. But he denied wanting to change the teaching of the Church on contraception. Further justification for population control came from Archbishop Sanchez Sorondo in a discussion with Jon Bongaarts, an influential population control theorist from the Population Council, a think tank founded by the Rockefellers in 1952 to convince developing countries to use abortion and contraception to reduce poor populations. Bongaarts spoke of a great unmet need for contraception in developing countries, described population growth as a threat to development, and extolled the benefits of low fertility. He called the teaching of the Church against contraception an “obstacle” to development. Then he proceeded to list papal pronouncements about “responsible parenthood” in support of his work to promote contraception in poor countries. Archbishop Sanchez Sorondo did not dispute him. Quite the contrary. He then read a portion of the English translation of article 2372 of the Catechism of the Catholic Church. “I want to say that also in the Catechism of the Church it says…the state has a responsibility for its citizens’ well-being. In this capacity, it is legitimate for it to intervene to orient the demography of the population. This is also an idea of the Catholic Church!” he said emphatically. “This” being the obligation not to have more than one or two children. Then, bizarrely, Archbishop Sanchez Sorondo challenged spousal autonomy to make such decisions. In his talk, Boongarts’ had commented that “no institution, nobody outside should tell or coerce couples to have either more or less children than they want,” politely offering an olive branch to a Church that has largely seen the work of his organization as hostile to the Gospel of Life. Archbishop Sanchez Sorondo responded, “You say, only for the family. No! Also, the family needs to understand the situation of the country,” he said raising his voice. Sadly, Archbishop Sanchez Sorondo is not thinking in a vacuum. A badly bungled translation of the Catechism cited by Archbishop Sanchez Sorondo lends itself to these heterodox views. The English version inaccurately translates ad incolarum incrementum ordinandum (to bring order to population growth) as “orient the demography of the population,” giving the impression that the Church sanctions population engineering. Inexplicably, the word “population growth” (incolarum incrementum) is translated as “demography,” which does not even exist in Latin. Combined with the word “orient” (rather than “bring order,” ordinandum) it suggests states directly telling citizens when and how to have children. This meaning is irreconcilable with the rest of the article, which only allows the state to provide “objective and respectful information” and expressly forbids government directives and coercion. Moreover, it says the state may not legitimately substitute its own initiative to that of spouses when it comes to family size. That categorically excludes the idea of states orienting the demography in any specific direction. While the term “bring order” (ordinandum) in Latin is fairly capacious, it cannot be reduced to “orient” here without doing violence to the text and overall gist of the article. The Catechism can only be referring to policies to create social order, not population engineering. It requires states to endeavor to create social conditions for families to have as many children as they in good conscience see fit, not to limit how many children spouses may have, or convince them to have fewer children. Shortly after promulgating the Catechism, St. John Paul II made this point forcefully in his intervention at the United Nations Conference on Population and Development in 1994. In a scathing letter, he condemned both coercive and persuasive government efforts to impact spousal decisions about family size. All propaganda and misinformation directed at persuading couples that they must limit their family to one or two children should be steadfastly avoided, and couples that generously choose to have large families are to be supported. St. John Paul’s seminal encyclical, Evangelium Vitae, also confirmed this reading of “bring order,” and again shows the Church’s insistence on spousal autonomy. Pope Francis’ own recent encyclical on care for the environment Laudato Si condemns overt and covert population control as a “refusal to deal with the issue” of environmental degradation (Laudato Si 50). The teaching of the Church on population policies crystallized in the 1960s, when hysteria about overpopulation and the environment pushed governments to adopt brutal population control policies. It was hoped the Catholic Church would lend its moral support to this environmental imperative, or at the very least permit the use of contraception. The Church never gave in, despite pressure from international politicos, celebrities, and popular opinion. This was the context of the Vatican II Pastoral Constitution Gaudium et Spes, which expressly reserved decisions on the transmission of life to “parents themselves and no one else” (GS 50). Only shortly thereafter, echoing Gaudium et Spes, Blessed Paul VI again emphasized the complete autonomy of spouses in Populorum Progressio. Populorum Progressio sanctioned government policies to help spouses act prudently in the transmission of human life, but never undermining the autonomy of spouses. There is no denying that accelerated population growth brings many added difficulties to the challenges of development when the population grows more rapidly than presently available resources to the point that all ways appear shut. In such circumstances, there is a great temptation to apply drastic remedies to decrease the birth rate. Here, there is no doubt that public authorities, within their competence, may intervene to inform citizens on this matter and adopt appropriate measures, so long as this is done in conformity with the dictates of the moral law and the rightful absolute autonomy of spouses is preserved intact. (Populorum Progressio 37). This condition for triggering state interventions must be understood in the context of the panic about the ability of countries and the international community to feed entire populations, thanks to the predictions of scientists like Ehrlich. Populorum Progressio sanctions state interventions only where life is imminently threatened by catastrophic factors. It does not authorize international bureaucrats to moralize about when having a child is appropriate based on unverifiable predictions of how the climate might change over the next century. Blessed Paul VI corroborated this stringent understanding of state interventions in population matters in Humanae Vitae. He categorically excludes population control, forcible or not. Here we can better understand what the Catechism means by bringing “order” to population growth. As if to ward off any misinterpretation of Populorum Progressio along the lines that Archbishop Sanchez Sorondo proposes, Blessed Paul VI hearkens to St. John XXIII’s forceful rejection of the modern population control movement. Blessed Paul VI envisaged a role for the international community in establishing a just social order. His emphasis on the “almost limitless field” for international cooperation contrasts sharply with the draconian notion of Church-sponsored efforts to orient demography. He actually denounced efforts to blame poverty and misery on overpopulation or resource scarcity. The ease with which Archbishop Sanchez Sorondo calls for population control may be in part due to a widely held misunderstanding that the Church’s teaching on the permissibility of using periodic abstinence to delay childbearing is just another form of birth control, for all intents and purposes analogous to the use of contraception. This misconception reduces responsible parenthood to family planning. It suggests spouses sitting down and planning how and when to conceive children, as if these were lifestyle choices or financial decisions like buying a house or installing solar panels. This is inconsistent with the teaching of the Church on spousal love. It is precisely the attitude that Paul VI warned against in Humanae Vitae. St. John Paul also referred to the “spiritual” and “ethical dimension” of responsible parenthood in his great catechesis on human love in the plan of God. Without this ethical dimension, it is harder to claim the state should not interfere with spousal autonomy. If spouses can morally forsake the procreative end of conjugal love for any or no reason at all, without violating something written in human nature, it makes it easier for the state to sanction it to achieve sustainable development or other political goals. The Catechism makes it clear that spouses need a “legitimate intention” to avoid pregnancy in addition to using “morally acceptable means” to do so (CCC 2399). This is sadly often ignored. Responsible procreation is not a form of organic contraception. This misconception perverts the role of spouses as co-operators with God when a new immortal human life begins. Spousal love is inherently fecund and ordered toward the perfect gift of self. Children are an essential good of marriage and God’s plan for human love. The Church’s permission to use fertility awareness and abstinence to delay childbearing, including in the context of population policies, springs from love of human life and not out of regard for a middle-class ideal or the upkeep of a certain lifestyle or quality of life. Periodic abstinence in marriage is not sanctioned to limit life, but to protect it. The ethos of family planning and population control have a common matrix in a profound conceit about the ability of humankind to control human life and our earthly condition. The Church has consistently denounced the technocratic materialism behind population control policies because of the revealed truth that God is both provident and benevolent. This teaching is rooted in the biblical account of God’s promise to Noah after the Flood, that He would never again destroy humanity. God recites the Covenant to Himself before He announces it to Noah and his sons. [T]he Lord said in his heart, I will not again curse the ground any more for man’s sake; for the imagination of man’s heart is evil from his youth; neither will I again smite any more every thing living, as I have done. The Genesis narrative, as all good origin stories, has something to say about our own present day environmental anxiety. It seems written, word for word, with Ehrlich, Sachs, and Archbishop Sanchez Sorondo in mind. God doesn’t just promise not to destroy humanity, he promises that the earth will always provide for the needs of “all living creatures” and “all flesh with life,” including biodiversity, favorable climate, and even the cosmic conditions for life on Earth. God even commands Noah twice to “be fruitful and multiply,” reassuring Noah that his descendants will never again face the threat of extinction. His final pledge of the covenant, the rainbow, perpetually reminds humanity of this promise. This optimism—singularly highlighted in the Hebrew tradition of the flood—contrasts sharply with the deterministic fear and anti-natalism of the modern environmental movement. Sadly, it is a part of revelation entirely overlooked in Pope Francis’ otherwise comprehensive encyclical, Laudato Si. God’s promise that the earth would always provide for humanity’s needs is an indispensable foundation for hope in the success of any human activity, including economic activity and efforts to preserve biodiversity, and to study and address climate change in the measure that is reasonably and prudently possible. And it is entirely consistent with modern science. Every calculation of the Earth’s limited caring capacity to date has proven woefully inadequate, and has failed to account for human ingenuity. Like Malthus before him, Ehrlich was wrong in 1969. And he is probably wrong now. Ehrlich himself admitted to the New York Times that he feigned “more certainty” about his predictions than the available science warranted then, and that he would do the same now. UN demographers—universally relied upon by academics and governments everywhere—have concluded that policies to reduce fertility will have little to no effect on climate change in coming decades compared to changes in consumption and production, and are therefore not good policies to prevent climate change. As a result, the Paris climate agreement does not address population at all. Economists increasingly admit the present demographic challenge is not overpopulation, but low fertility and aging. The global demographic horizon will peak sometime shortly after the end of this century, or even before, likely never to return on a growth trajectory. 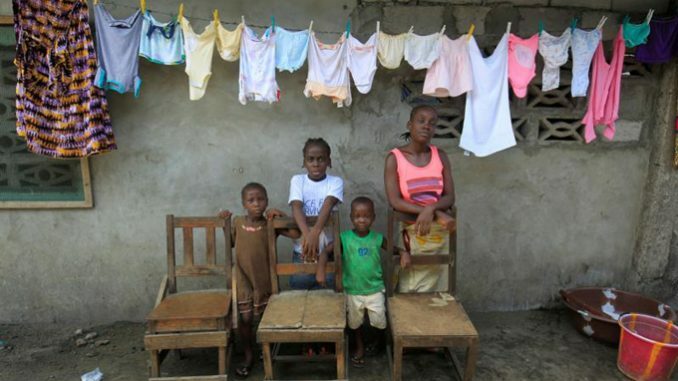 Persistent and irremediable low fertility threatens entire countries and economies. This unprecedented phenomenon is already causing a drag on the global economy, exerting pressure on fiscal and welfare systems, and is affecting the poorest the most. Despite this readily accessible scientific evidence, there are those who fanatically cling to population control theories. It is entirely regrettable, and reflects poorly on the Holy See, that the pontifical academies chose to embrace these obsolete and discredited theories. Faith and reason must never operate separately. This is a point St. John Paul made forcefully in Fides et Ratio. When reason is no longer guided by faith, without fail, it leads to inhuman ideologies. The premises of a question determine its outcome. Moreover, failing to adequately account for God’s providence undermines spousal autonomy. No philosophical question exists without a theological corollary. Environmental determinism that denies individual autonomy follows quite logically from a denial of providence. True freedom could never exist if the threat of God’s punishment hangs over human daily existence like a hammer waiting to fall. It is highly significant that God makes the covenant with Noah, fully aware that humanity would once again become complicit in deception, fraud, and unspeakable evils. Jesus himself bases his teaching in the love of a God who “makes his sun rise on the evil and on the good, and sends the rain on the just and on the unjust.” Indeed, the only guarantee of moral agency is God’s providence. Those who believe in God’s plan for humanity made known in revelation would do well to begin with the deposit of faith when articulating ethical environmental imperatives. The Church should not pander to the population control movement or give international bureaucrats a mandate to “orient the demography.” It must stick to orienting souls. Vatican City, Sep 9, 2017 / 08:00 am (CNA/EWTN News).- The Holy See has release a new “motu proprio” from Pope Francis outlining a shift in the responsibility of local bishops and the Apostolic See for the revision and approval of liturgical texts. Dated Sept. 3, the document is titled “Magnum Principium,” meaning “The great principle,” and deals explicitly with two specific changes to Canon 838 of the Code of Canon Law, which addresses the authority of the Apostolic See and national episcopal conferences in preparing liturgical texts in vernacular languages. The document was published Sept. 9, in the middle of Pope Francis’ six-day trip to Colombia. Specifically, changes were introduced were to paragraphs 2 and 3 of Canon 838. In light of the various views expressed by Council Fathers at the time, the Church, he said, was also aware of the challenges the task would present. 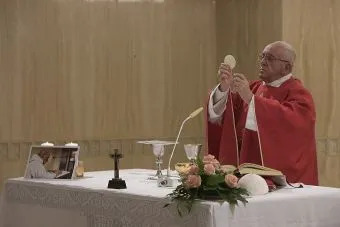 “On the one hand it was necessary to unite the good of the faithful of a given time and culture and their right to a conscious and active participation in liturgical celebrations with the substantial unity of the Roman Rite,” he said. 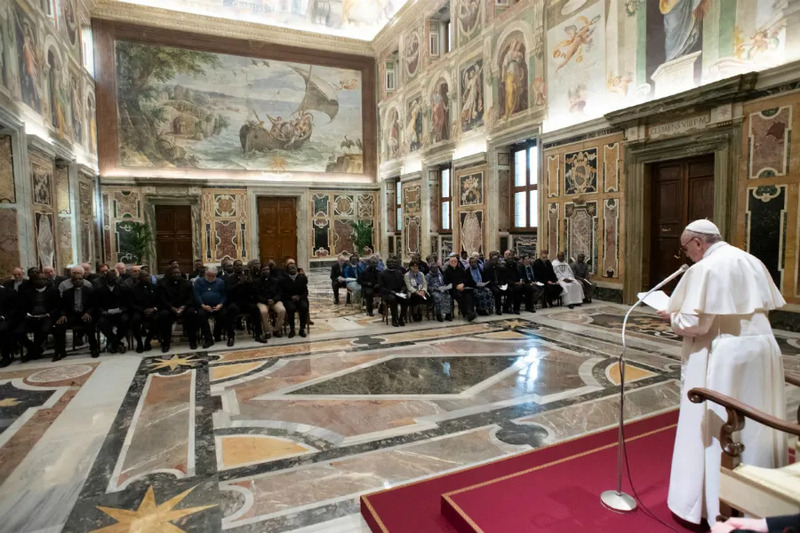 Given the weight of the task, the Pope said it’s no surprise that certain problems have arisen between episcopal conferences and the Apostolic See along the way. In order to make collaboration between the Apostolic See and bishops conferences “easier and more fruitful,” and after having listened to advice from a commission of bishops and experts he established to study the issue, the Pope said he wished to make the “canonical discipline” already in force in canon 838 more clear. All changes will go into effect on Oct. 1 of this year. Ehrlich and company with their discredited hypotheses ala Malthus prior have no business at these forums; which in turn should not exist with their pre-determined ends. Francis needs to go before he takes that fateful step that will bring down the Church. He truly is hell-bent or is it “hell-sent”, no pun intended, to install a version of “modernism” in the Church. A false scientism is being allowed to displace God at the Vatican. Wake up people. The perennial teaching of the Church on use of artificial contraception, and Humanae Vitae itself, have already been overruled. See, Amoris Laetitia. Or perhaps you can explain what would allow an active and unrepentant adulterer to receive Holy Communion but would prevent an active and unrepentant contracepter from doing so (or an active and unrepentant sodomite for that matter). And, Laudato Si will be used as justification that the former teaching on contraception is outdated now that man is aware of his destruction of creation through overpopulation. It will be a sin (or at least seriously frowned upon) for a Catholic to have more than two children within the next 5 years. Such people will be viewed as enemies of God because they supposedly show disrespect for his creation. They will also be seen as recklessly contributing to global warming and thus personally responsible for harming the poor. Gennarini asks the right questions regarding distancing reason from faith and God’s Providence. “When reason is no longer guided by faith it leads to inhuman ideologies. If God’s providence is not real and humanity’s mere existence is a threat to the environment, population control is inescapable”. His argument upholds faith v atheistic secular humanism. Essentially not because arguments regarding population expansion like Malthus’ have been entirely disproved. Numbers v environmental accommodation seems inescapable. Are they? At this point Man produces an overabundance of edible substance. The problem cited by UN survey is distribution and delivery. The West has no problem with overpopulation because birth rates in Europe among the indigenous are declining rapidly even dangerously. N America is comparable. The outcome of the Pontiff’s initiative will inevitably be the mitigation of Catholic doctrine on the sacred value transmission of life. On human life itself. We already have his tacit approval of the E Canada Bishops policy on medically assisted suicide. The author is astute, well versed ethically indicating the likely direction of the Vatican’s Bio Extinction Conference toward an atheistic humanist approach. That is consistent with the Pontiff’s entire agenda for the Church. Where do we onlookers Laity and clergy stand? Leadership was lost with the death of Cardinal Caffarra. But reinstated by Bishop Athanasius Schneider Astana Kazakhstan. Bishop Schneider in a recent interview by an editor 1Peter5 urged the faithful to remain loyal to the authentic Magisterium pronounced by John Paul II and Benedict XVI inclusive of Paul VI on Humane Vitae. Not to the contradictory non authentic suggestion and policy by a Pontiff who was commissioned to defend the Faith not distort and misrepresent it. Bishop Schneider has become the preeminent voice of the Church faithful to the Deposit of Faith. A new Athanasius. In the CS Lewis Space Trilogy (Out of the Silent Planet, Perelandra, That Hideous Strength), the Malacandrian/Martian “Hross” (Walrus Man), Hyoi, expresses to Ransom (Tolkien), a kind of duty not to pro-create. This takes place as Hyoi and Ransom are preparing for the hunt for a prize hnakra, a fierce water-creature which seems to be the only dangerous predator on the planet, resembling both a shark and a crocodile. This attitude is in contrast with the character Francie Nolan in A Tree Grows in Brooklyn: Jewish women in a neighboring ghetto are proud of being pregnant because they might be carrying the Messiah. Another brick in the wall by the bricklayer, Francis. His secular masters are pleased. 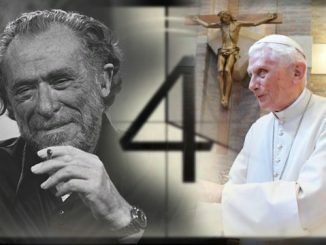 It is clear that the “current pontiff” and his global machinery (his St. Galens Mafia electioneers in the College of Cardinals, several national “Catholic” Bushops Conferences, most likely all Jesuit provinces, all Jesuit and most “Catholic” universities and colleges, most “Catholic” hospitals and hospital associations, most “Catholic” newspapers, etc etc etc) all agree with Malthus, the Rockefeller Foundation, Ehrlich, Eric etc etc etc. They agree with white supremacist Margaret Sanger: the state has the right to issue permits telling parents how many children the state authorizes. I have bet my life on Jesus, and his Catholic Church. I have not, and never will, accept or tolerate or stop fighting against the totalitarians noted in the paragraph above. My deceased first wife and I had dinner with our then pastor. Gail could not have another child as ordered by her doctor. Then the discussion moved to population control or sensible family planning. I asked Father Murphy if he agreed with my thinking? He said that he did not agree that the earth population was a problem. I then asked if he understood that the earth has a finite amount of living space? He retorted that they should build communities in the deserts of the west. I said he was overlooking the enormous amount of money and resources it would take to make the desert livable? He scowled at me and left perhaps none the more enlightened. Why co we continue to beat a no-brainer? Thanks, Stefano Gennarini, for the analysis. What’s needed is an intellectually coherent and specific reply to the criticisms you have raised. Rather than “holding my breath” waiting for one, I will continue to insist on responsible episcopal leadership. You need to rebuke the Vatican for awards to Poulman of Netherlands and Gov. Brown of CA. Usa. Etc… Both regard church morals sexual and otherwise as a joke . Both support Euthanasia ,homosexual apostatesso called marriage and abortions paid for by taxpayers and health care money . So be creative but don’t say anything to hurt one’s “feelings”. I have listened for years to the one worlder types and control of the world and all who live here. Sanger and her ilk have infected many organizations and what now looks like several Vatican organizations with bishops in support. Their thinking has been shot down before with evidence that the world is on a population decline and will not have replacements. But those in favor of abortion,euthanasia, suicide on demand, and other means have infected our education systems to such a degree that even Catholic institutions are in support one way or another. Jesus will take care of us if we just ask. God will give what is needed. Our nations and many in our Church need to come back. We need truth from the pulpits and not a lot of social pablum. Preach the truth and they wiil come back.